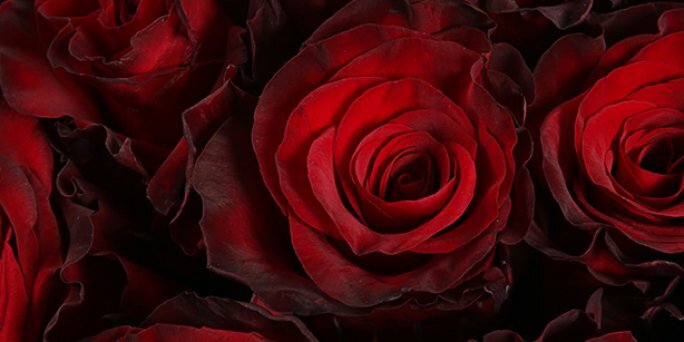 Registration of purchase and delivery of 40 red roses to any address in Riga and all over Latvia. Bargain prices, the freshest flowers and wide opportunities of courier service are waiting for you in the online shop KROKUS. You can arrange a pleasant surprise to a loved one, congratulate on the anniversary or birthday, make a delightful gift for the wedding anniversary, by giving a chic bouquet of 40 red roses to the gifted. The composition of fresh flowers differs in refined aroma, bright and rich colour, unique appearance. Having received such a present, any woman will be delighted. In addition, a premium bouquet of 40 long stem red roses will be an excellent gift for a family, team, boss, business partners from Riga (Latvia). Red rose delivery in riga can be carried out at any time! Floristic studio KROKUS is pleased to welcome visitors of its official website. In our shop everyone can find a beautiful bouquet or a flower arrangement that best matches the theme of the celebration, the planned budget and the preferences of the gifted. In the catalog of goods a wide range of flowers is presented, among which customers can choose and buy 40 red roses with delivery to any address in Riga and all over Latvia. How much would 40 red roses cost in Riga (Latvia)? The cost of 40 red roses in our online shop depends on the variety and size of flowers, as well as the complexity of the bouquet. Premium roses can serve as a vivid example, characterized by a huge and lush bud, the length of the stem 70-80 cm, a stunning aroma. The price of such a bouquet will be about 160 euros. Classic flowers, the size of which does not exceed 50-60 cm, relate to more affordable variants. You can buy them much cheaper, and the quality of the composition will not be inferior to bouquets of luxury class. If you want to know how much does 40 red roses cost of a certain type and size in Riga (Latvia), you can easily consult the specialists of KROKUS at the specified phone number. To send roses to riga online is easy, being even hundreds of miles away from the recipient! What is 40 red roses meaning? Among the meanings of this delightful bouquet it is to mark out passion, passionate love, admiration, worship. However, the most symbolic and beautiful, perhaps, fidelity and devotion became. 40 ruby red roses are the perfect gift for wedding anniversary, celebrated after reaching 40 years of marriage. Thus, this composition is great for handing it to parents, relatives or a family of friends on this remarkable day. You can arrange 40 red roses delivery to any part of Riga and all over Latvia using the online service of the best online floristic shop KROKUS. Just add the bouquet you like to the cart, supplement it with a postcard and pay for the goods in one of convenient ways. In addition, you can leave an application for a beautiful flower masterpiece and send it to the recipient in the phone mode. You can buy a bouquet of flowers in riga, even without leaving home!